This page details accommodation for short stays and conferences. 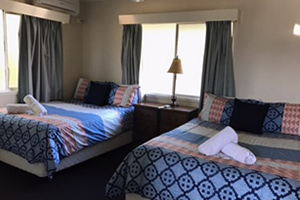 Students considering living on campus while studying at Gatton should visit the Halls of Residence or Student Services websites. 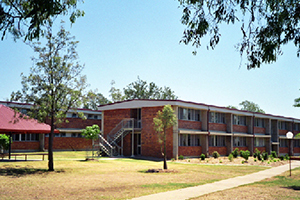 UQ Gatton Campus offers a variety of accommodation services, including the Halls of Residence and Student Services rental housing for long-term student accommodation, and a 14-room motel for small groups and individuals looking for overnight or longer accommodation onsite. The Halls of Residence are also available for conference groups during non-teaching periods. The Halls of Residence manage a 14-room motel opposite the Veterinary Medical Centre (ideal for owners with patients requiring overnight treatment), as well as conference accommodation during non-teaching periods when the full 436 rooms of the four Halls of Residence may be available. To discuss the facilities, enquire about availability or make a booking, contact the Conference Unit on +61 7 5460 1489. Accommodation in the Halls of Residence is only available during the University semester breaks in January, February, April, July, September and December and is perfect for large conference groups. 436 rooms – including 14 double and 16 single air-conditioned rooms. Common room with a TV and pool table. 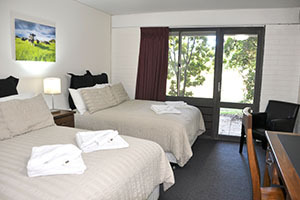 The Motel has 14 double rooms and is used for short-term accommodation. The cottage includes a kitchen, living room, bedroom and bathroom and is suitable for longer term stays. It has been recently refurbished and is fully self-contained. It is ideal for visiting academics or international students completing an internship.